The Superbowl: Is it the most watched non-sports sports event? This question, on a surface level, was easy for me to answer. This was an inquiry posed to me by my boyfriend. He’s not in the ad business, but I (if you didn’t already know) am. Effortlessly, I shared rhyme and reason of why an ad agency would put their best foot forward for a brand for a Superbowl spot. 1) Reach. You’re not going to get many TV events where almost everyone in the USA will be tuned in at the same time. 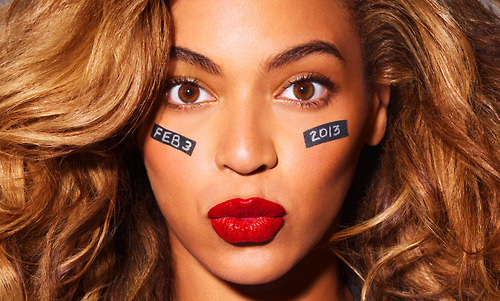 The exposure a brand can get during the Superbowl (with national buys) is massive. Even with a local media buy (ads that are shown on local stations for a limited coverage area) smaller companies take advantage of the high viewership. Three things most people look forward to come the Superbowl (in order of importance): Commercials, Halftime show, and maybe the final score. The Superbowl: The program people will watch to comment on the commercials/musical acts the next day. And oh yeah, the score. The question then transformed into “Why would an ad agency put it’s best foot forward for only one event a year? Shouldn’t they be doing their absolute best for the entire year?”. An ad agency doesn’t just go all out for Superbowl creative and then phone it in the rest of the year for their client. However, an agency would be remiss to not put their best foot forward for the one night that most of America would be watching at the same time. Most of the money spent for Superbowl spots is for the actual media buy itself, not the creative. Though, depending on what the creative is, the spot could be more expensive than any other TV spots the ad agency will create for their client that year. That questions is a little bit difficult to answer without knowing the history of the bowl. Why did people who didn’t give a darn about football, all of a sudden find themselves watching (and looking forward to) the game each year? After a brief trip to Wikipedia, I honestly didn’t have an answer I felt confident in. From all the information I can gather, it seems like it was always a big event, but somewhere along the line, ad agencies/companies saw the revenue potential of it. Has the Superbowl become the top non-sports sports event? I would have to admit, I never really thought about it. As a young girl, my family gathered together and watched the Superbowl. It was tradition. We never sat around to watch any other football games though, no college bowls, no rivalries, no other bowls than the super one. So then I began to wonder, why is the Superbowl almost a national holiday for Americans? Especially those who don’t even watch football throughout the year. The answer, from my experience, seems to be tradition and maybe our desire to see competition at the final level. This event was something that friends and families watched together throughout the years. From a marketing/advertising prospective, it may not matter all that much. What does matter, is that this is an event where your best creative comes out. Because you know everyone will be watching to see which brands came out swinging.